01 Sierra rust spots on top, easily repairable? Chevy/GMC Small Trucks Forum Discuss the Colorado, Canyon, Sonoma, S-10, etc here! I just picked up an 01 Sierra Z71 Stepside for my first truck. It has about 200k miles, but it's all highway miles. It never really went off-road. However, it did sit out in the sun for a while at his house. The original white paint is peeling off of the hood and the top of the vehicle. (See pictures) But it was free so I'm not complaining. There is hardly any damage to the vehicle except a cracked rear left panel under the tail light. I noticed a bit of rust on the top of the truck,however, the underbody and chassis aren't rusted a bit. (See Pictures) Can the body be repaired and painted for a reasonable amount of money? I don't want to sink money into it because it's my first vehicle. Thanks!!! Old post I know but just to inquire.... What did you end up doing? I have a 2002 Silverado and my clear coat is coming off on the roof and hood. I guess I will have to get it painted. No rust anywhere, just clear coat peeling off. ... Note: My truck is white also! Very disappointing! I bought mine new and it only has 70k miles on it. 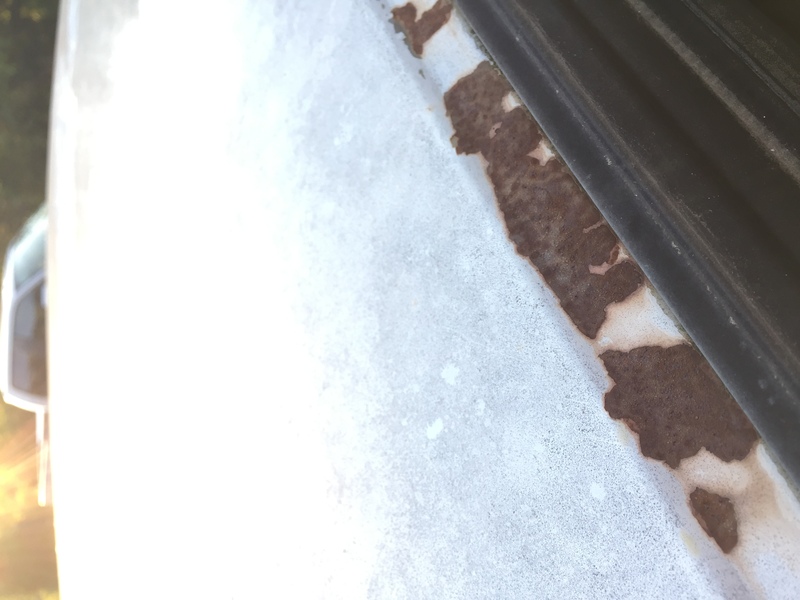 Quick Reply: 01 Sierra rust spots on top, easily repairable?